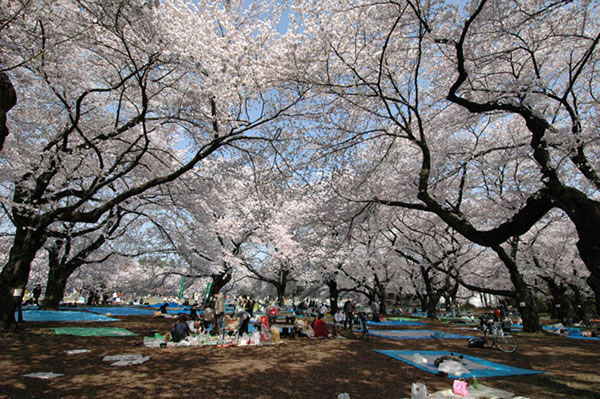 Hanami is an old-established Japanese custom. In Japanese, the word "hana" is "flower" and "mi" is "viewing," respectively. So, "hanami" literally means "viewing flowers." In this country, people like to appreciate beautiful flowers (especially sakura) , talking joyfully, drinking alcohol, and even singing loudly. Japan has countless sakura viewing spots here and there throughout the nation. 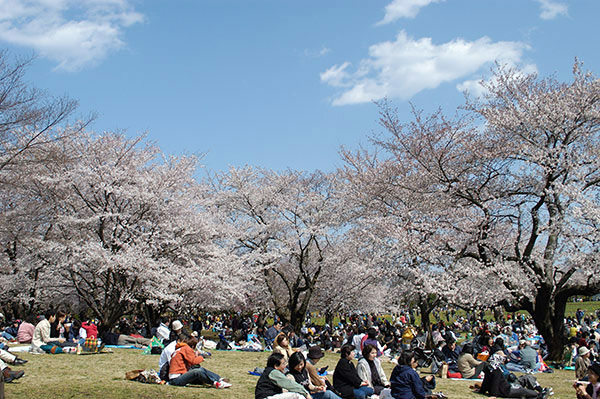 In hanami season, you will easily be able to witness a great number of people gathering under sakura trees night and day and you must notice everyone there seems so happy.